Drinking lemon water first thing in the morning on an empty stomach is a fantastic habit to get into. Obviously it's hydrating, but the lemon is also a great way to kick start to digestion and also helps support the adrenal glands (think stress) as well as protect the liver. Plus, it's a natural breath freshener. Bonus! (if you're drinking a lot of lemon water, don't forget to rinse with plain water afterwards to protect your enamel from acid erosion). All you need is a little good quality oil (olive, avocado, and flax are great choices) and freshly squeezed lemon juice and you have a super-tasty salad dressing. The general rule of thumb is 3 parts oil to 1 part acid (lemon juice), but you can do half and half too. Once you have the base, have fun with other flavour enhancing goodies like sea salt, mustard, garlic, tahini, onion, fresh herbs...there are so many great combos. Most delicious dishes have a little bit of each flavour going on. You may not even realize it, but if you're making something that's just tasting, well...flat, try squeezing a little lemon in and you'll see how it really just makes the flavour pop...sauces, stews, soups are all great places to start. This hot, spicy and tart drink is such a tasty treat, but it's also super good for you. 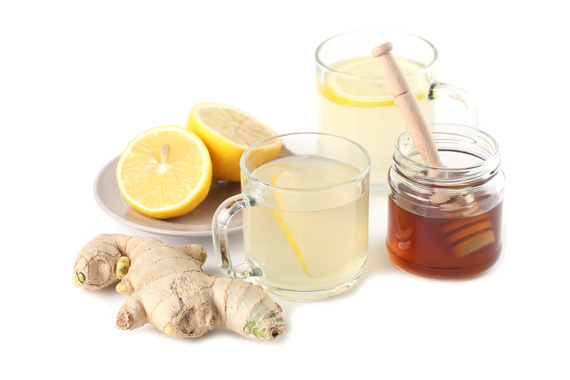 I usually make this when I'm feeling under the weather because it's loaded with vitamin C and the ginger is naturally anti-bacterial and anti-inflammatory. If you want a little sweetness just add some raw honey, which is also soothing and antimicrobial. Not only is zesting a fun flavour boost to dishes, but lemon rind is also one of the healthiest parts of the lemon! It's the lemon peel that contains the potent phytochemical called limonene, which is loaded with antioxidants and has anti-cancer benefits. Lemon juice and salt is one of the best ways to keep your cutting boards clean and disinfected. All the chefs do it so why shouldn't you? Just squeeze the juice of a lemon all over your board, sprinkle with salt and use the remaining lemon to rub in salt to remove any tough stains, rinse and dry. In fact, lemons are great at cleaning lots of common household objects...see #7. 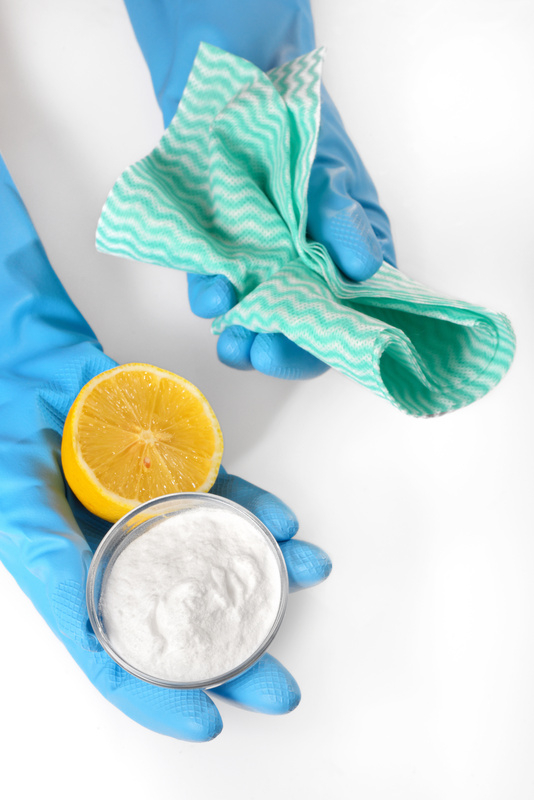 We spend a lot of money on cleaning products because they are marketed incredibly effectively, but you can actually do so much with natural ingredients like, you guessed it, LEMON! To remove oxidative tarnish from brass, copper and stainless steel, just mix lemon juice with salt until it forms a paste, rub it over said metal, leave for 5 minutes, rinse at pat dry. You will be astounded. Your kids will like to try this trick on dirty pennies (just drop the pennies in a bowl of lemon juice and let sit for 5 minutes, remove, rinse and pat dry). Have you ever cut up a bunch of fruit or veggies only to have them turn brown and yucky in a few hours? (Hello guacamole!). Lemons are there to save the day again! Just squeeze a little lemon juice over your pristine produce and the citric acid will prevent it from turning brown. It's not actually magic, so it won't prevent oxidation forever, but definitely a few hours while the company is there. You know how your nails get yellow and funky after wearing nail polish for a long time? Well, lemons can help you with that too! Just squeeze half of a lemon into a cup of warm water in a bowl and soak for 10 minutes. If it's not working, skip the water and just soak directly in lemon juice. Scrub with an old toothbrush afterwards. Rinse, moisturize and voila! Have you ever had a funky smell in a room that won't go away? Do NOT, I repeat do NOT - go for chemically scented fragrances that just mask the smell with a potpourri of harmful chemicals! DO try cutting a lemon into slices, putting in a bowl and allow them to work their odor-eating magic. In the fridge, soak a sponge in lemon juice and place in a bowl in the fridge or, simmer some lemon peels in water on the stove for a whole house scent. Even works for funky smelling litter boxes - just a few slices cut up near your kitty's toilet ought to do the trick! Lemons: learn to love them and they'll love you back.